The interior of your home is so important. People spend so much time making sure they end up with the look they actually want, and for good reason. People spend a bunch of money to make sure they will be happy with their interior design for years, so they want to get it right. Time have changed, and so has the interior decorating world. Technology has brought new ways to ensure you get exactly what you want. There are so many software programs out there to help you on your designing journey. The problem is knowing where to start. 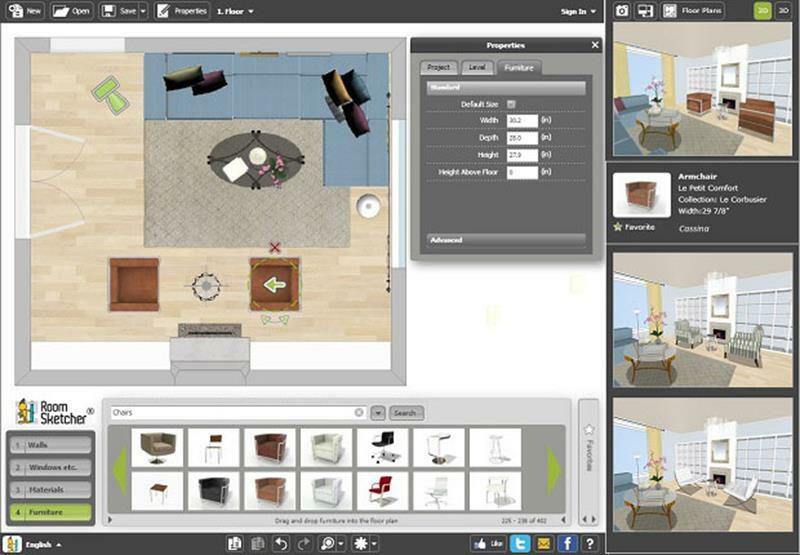 We have compiled a list of more than 20 interior design software programs. As you start browsing below, you will see that we have broken the list down into both free and paid software options. There are many great free programs, but keep in mind that some of their features must be paid for, especially if you want to go in depth with planning and blueprints. That being said, if you are simply working on a small project, most of the free options will work just fine. If you are a professional, you will love many of the paid options we’ve found. Take your time and find a program that will take you step-by-step to have the interior of your dreams. We are going to give you the best free options when it comes to interior design software. Some of them have premium parts to them that cost, but overall, their free versions give you exactly what you need. Space Designer 3D software is actually really good. 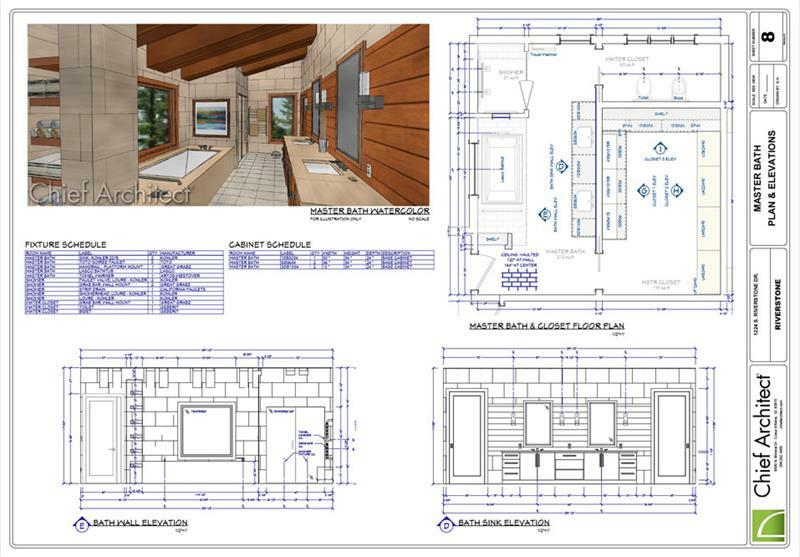 From floor plans to interior design, this is a software that is ready to use. They have over 1,500 furniture options for any room of the house. The software also allows you to draw your floor plan in 2D and then visualize it in 3D. You don’t have to download it, as you can use it on your browser. It works well with your mobile device and gives you the ability to print realistic images. This is an easy to use software that costs you nothing. With HomeByMe interior design software, you can design, furnish, and decorate your space easily. When you register, you have many free options and inexpensive paid options as well. With the free registration, you get 3D plans and realistic images of your design. HomeByMe has a wide array of options to put around your interior. All you have to do is click and drag your way to a wonderful design. RoomStyler is great because you don’t have to download anything. You can start by simply opening your web browser. This is an easy to use software that lets you click, drag, and drop so many options into the floor plan that you’ve designed. The 2D plans are turned into wonderful 3D renderings. Room Sketcher has a software that lets your draw floor plans, make furniture layouts, design rooms, and turn them all into great 3D images. It is easy to use, so no experience is needed. With this software, you can take a 360 degree view around the space you design. You can easily use this software on either your computer or tablet – or both. If you want to export professional plans, you will have to pay a little, but everything else it free. We all know Lowes, but did you know they have their own interior design software? It makes sense because they want you to plan out your design and then buy all the materials from them. You have to get the materials somewhere, right? Well, whether or not you buy from them, you can take advantage of their free software. It has a great level of detail and you can quickly get a whole home designed. It is that easy to use. Oh yeah, they are working on introducing virtual reality to their software, so you will be able to get a realistic view and walk through of your design. 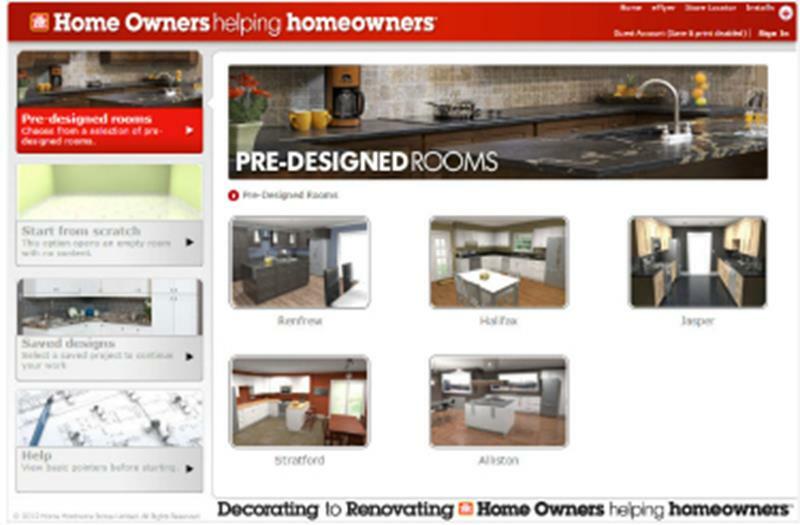 We like Home Hardware Design, even though it is not as extensive as some other software we feature. They specialize in color and tone matching, so you can ensure you get exactly what you want when it comes to color schemes for the inside of your home. They are also fantastic with kitchen design. 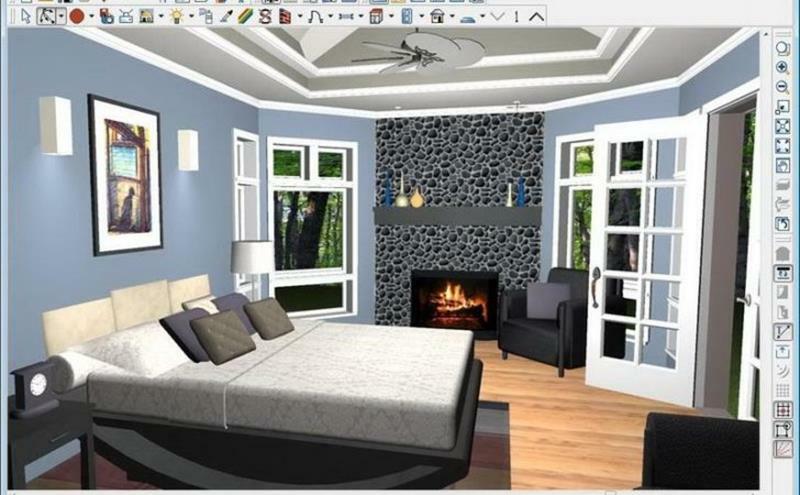 With this software, you can upload photos of your own space and design from that, which really helps you visualize what your final outcome will be. Like many free options, there are some premium options you have to pay for if you want them. We like that this software is so versatile and available across all platforms – Windows, Mac, iOS, and Android. It flows seamlessly between apps and computers. You have available to you a full library of floor plans, furniture, and household items. The 2D and 3D views are fantastic. The Design Home App is strictly a mobile option, but we wanted to include it because so many people use just their phones for things like this. You can get it through Apple and Google. Download the app and you will be well on your way to designing a wonderful interior. There is a huge library of items for you to use around your home, and it is almost made to be like a game so you have fun while you are using it. It connects you with a place to buy the items you love, so you can make your vision come true. The focus of Small Blue Printer software is their Garden Planner. It is great for that purpose and it works with both Mac and Windows. The program lets you arrange your garden and landscape area any way you would like and it even lets you plan for major outdoor events by putting in tents, canopies, outdoor heaters and more. You can activate a 3D view of the area you planned so you can walk around and see what your final design will look like. As the name suggests, this program specializes in visualizing colors in your home. We like this because painting is one of the most common things people do to improve the look of their home. With this program, which you can use on your computer or devices, you can “digitally” paint your room and try out as many colors as you want. Were familiar with Houzz, and we hope you are too. They have so many great home ideas and tutorials on their website that you can get lost for hours. 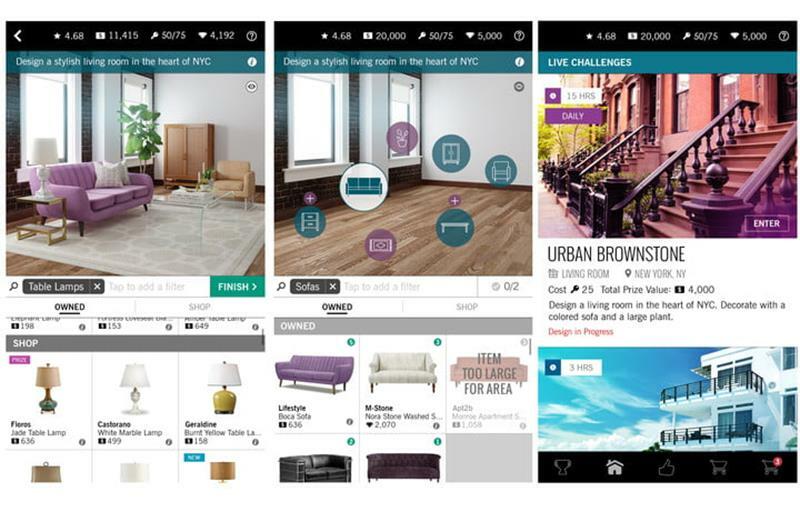 Now they have a software (available only on device app) to help you get the interior of your home completed. 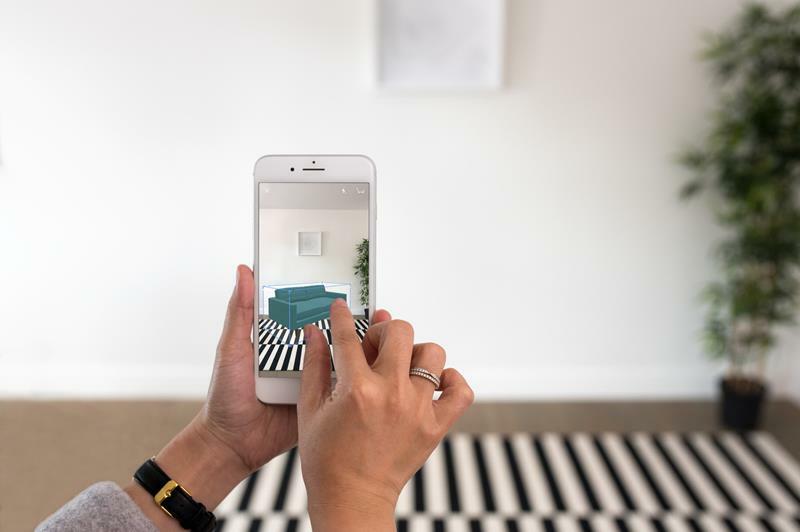 This app is made to help you visualize, in real time, how a piece of furniture or art will look in YOUR home. Just hold your device up and put in the furniture you want and it shows up in front of you in augmented reality. Decolabs has a software that will bring your rooms to life. It is a free app that allows you to visualize the décor of the interior of your home in just seconds. 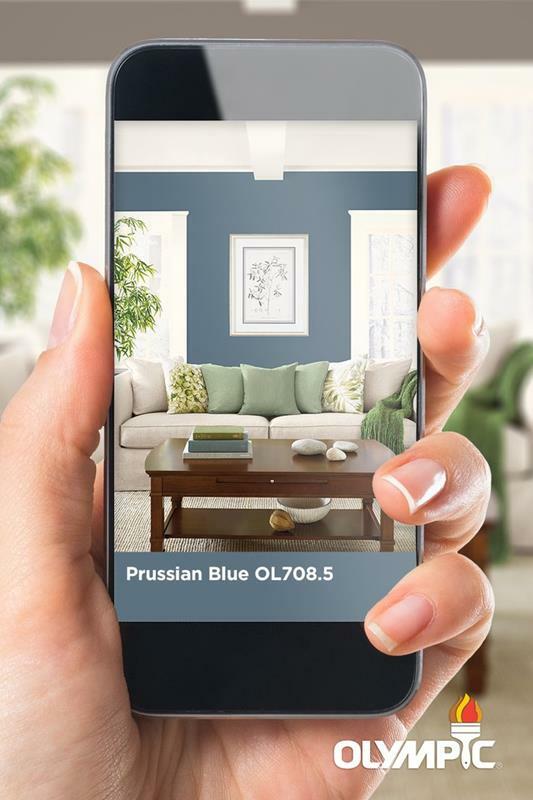 This is another program that uses augmented reality to let you place objects in your living space and view them in real time through you device screen. They have a huge selection of furniture and art to choose from, from sofas, shelves, artwork, tables, and more. The downside is that it is only available through Apple right now. 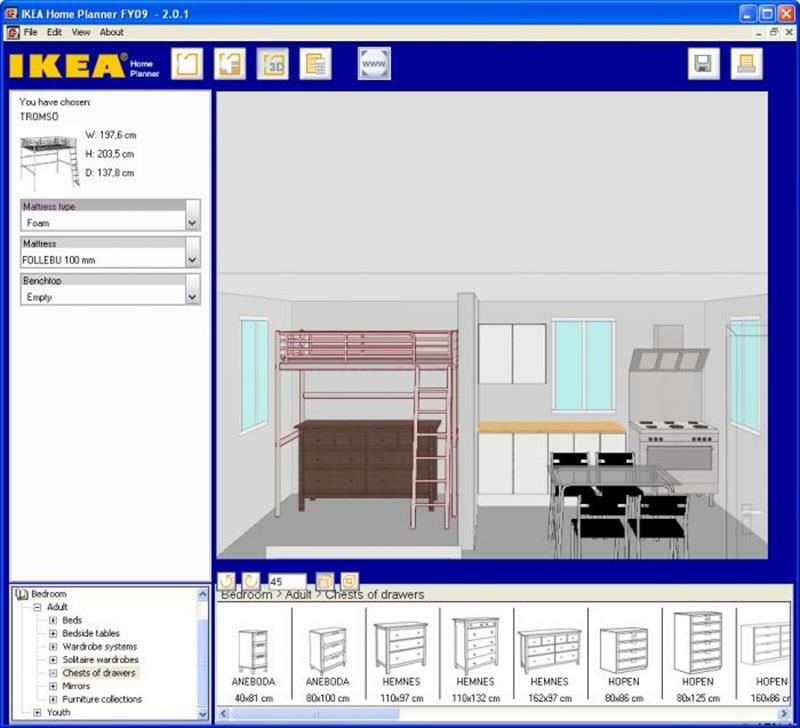 If you love IKEA, then this software is made for you. Well, even if you aren’t familiar with IKEA, you can still use their software to visualize how the interior of your home will look with their wide array of furniture. The software must be installed on your computer. When you install it, you have options for designing all kinds of rooms, from wardrobes to kitchens, offices to bathrooms. Of course, IKEA want you to use their tools so you and up buying their products, but you aren’t obligated. We’ll not bring you the best paid options. Why pay when there are so many free options? Well, if you are going to be doing more serious interior designing, you’ll need the extensive options offered by a paid plan. Even if you are just designing your own home, the overall cost of having a good software compared to the cost of designing a home is not much. These paid options run the gamut of prices, so be sure to find one that suits your needs. Cylindo really celebrates how great their software works on devices. You can find the app on both Apple and Google, and you will love how easy it is to use. Though their focus is furniture, it really gives you an idea of what the interior of your home can look like. The 3D renderings are fantastic and the mobility is a plus. We’ve featured SmartDraw before. They really do have a great interior design software. You can plan bedrooms, kitchens, garages, bathrooms, etc. Anything you want to design, SmartDraw an hel. Though can can’t use it directly through the site (download only), don’t let that deter you. 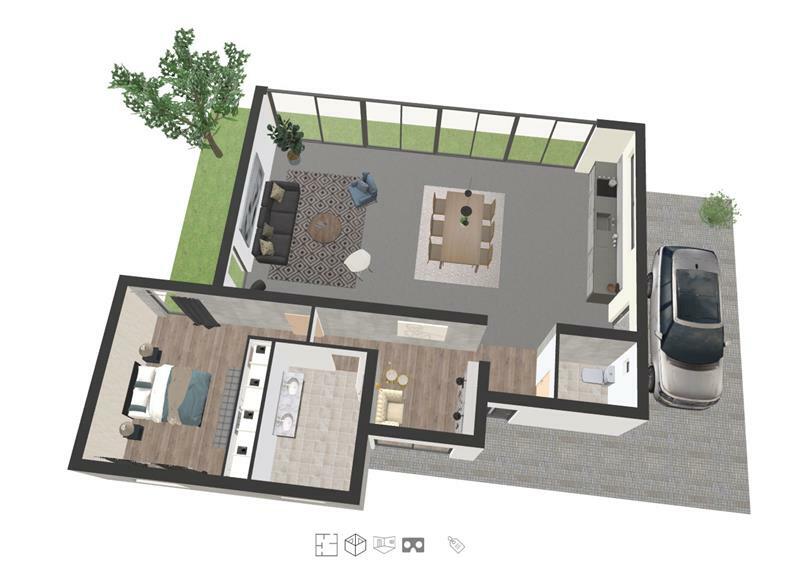 You can create floor plans from scratch and get amazing renderings of your final product. We’ve brought you Punch! products before and there is a reason – they are great at what they do. This software is easy to use, is well designed, and doesn’t cost a fortune. 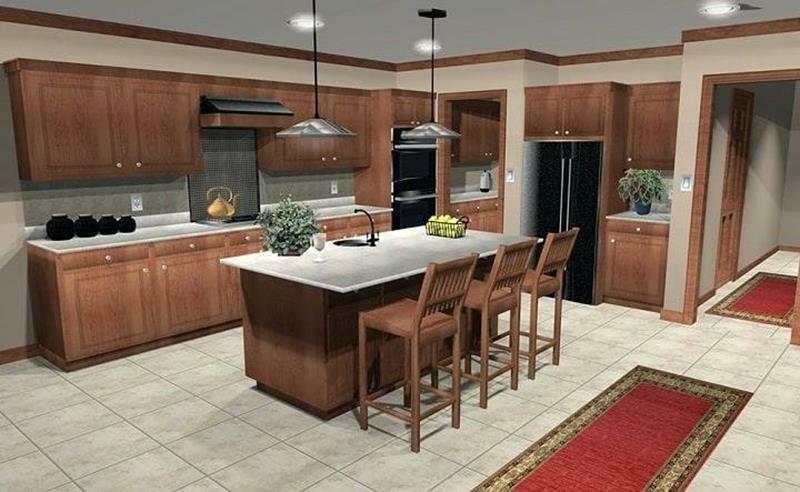 This software is used by professional interior designers and the final product walk throughs look so real that you will be convinced that they are. With Punch! software, you can get the whole house AND landscape designed exactly the way you want it thanks to their huge library of options. 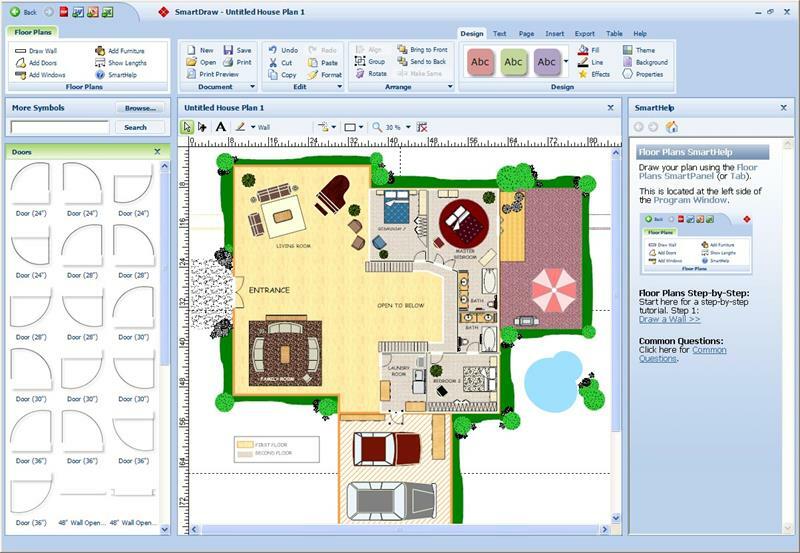 The Home Designer Suite software from Chief Architect is very popular. That’s because they offer a level of sophistication not matched by most other software companies. Whether you want to use a pre-made template they provide or design your interior from scratch, you have that option. They have a 360 degree panorama view option as well as the typical 2D and 3D views. Their helpful support staff with always be available to assist you. We’ve always lauded Chief Architect because they let you rent their software. This will save you money if you are looking to complete just a single project. Okay, so FloorPlanner has both a free and paid version. With the free option, you can create one plan for free. Of course, if you are designing an entire home, you will need more than that. FloorPlanner works for homes, offices, and landscapes, so whatever your needs, they will be accommodated. Designing a floor plan is easy with this software. It is converted into designs that you can easily build and decorate around. The final imagery on your design is amazing. Space Designer 3D has a great free product that we mentioned earlier, but the paid product is even better. First, you don’t need to download a program, as you can do all of your designing on the cloud. 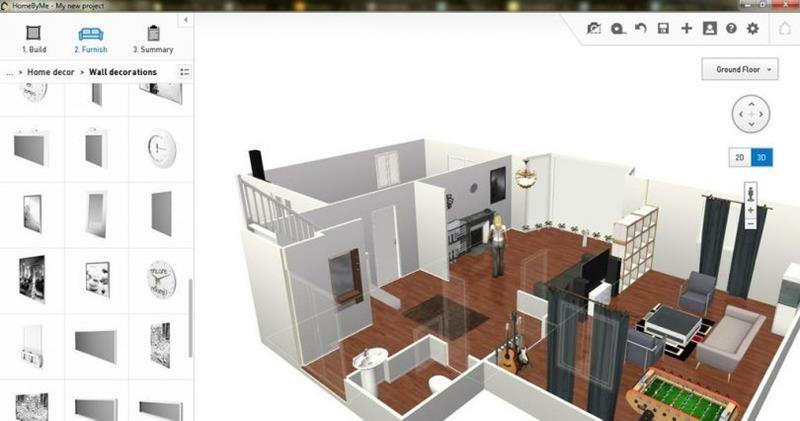 When starting, you design a floor plan, furnish it, then click a button to visualize the whole thing in 3D. Best of all, you can use the 3D version AS you go along, something not available on many softwares. There is a mobile friendly version so that you can take your designs with you anywhere you go. You had to have known that a name as big in home designs as HGTV would come out with their own home design software. Complete with floor plans, interior decorating, remodeling options, kitchens, bathrooms, and more, this software really does a good job. 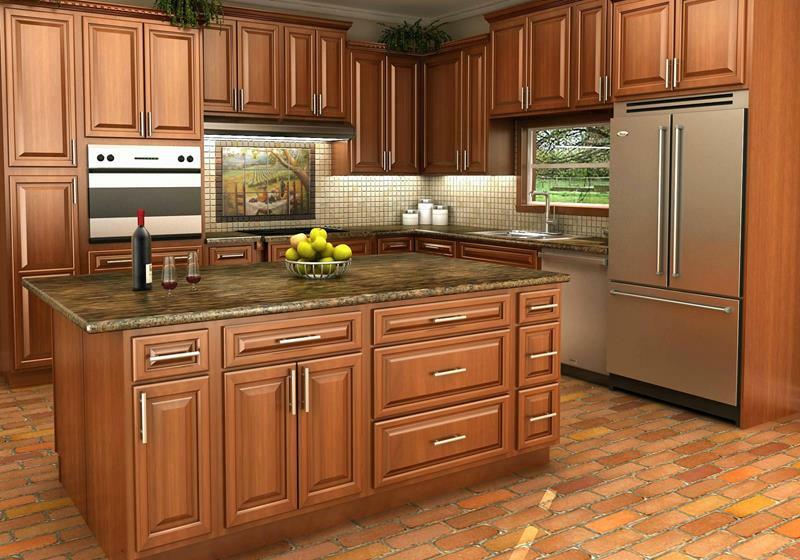 You have the options for a 3D view of any room you create, and the view is realistic. You even have options to create a natural lighting and shadows look. You will have plenty of how-to videos available to you or every step of the process. Infurnia is another option that is cloud-based, so you don’t have to worry about downloading software. Infurnia specialize in interior design, with a large furniture catalogue to choose from. The smart drag and drop method of control is very easy to use. They are also great with modular kitchens, giving you plenty of design options. This software will give you production quality 2D drawings, list prices, and cutting lists. Your final photos are very realistic, giving you HD quality. From the beginning stages of designing a home all the way through to completions, SketchUp Pro is a fantastic software. You can draw plans, elevations, and architecture styles. This program will generate floor plans and blueprints for you. The 3D visualizations are amazing, so you know exactly what you are designing. The software is so in depth that you will want to take some time getting to know how to use it, but there are plenty of tutorials and helpful support staff. The downside is that this is a more expensive software, but it’s not much if this is your profession or if you have many projects to complete. RoomToDo software makes it fun to design the inside of your home. This is an online based program, so you won’t have to download anything. You can plan, design, and decorate your apartment, house, or office the way you’ve always dreamed. The visualizations are realistic and you can get a great 3D walk through. We want to say this about RoomToDo – there is a free version, but this software is made for businesses who want to offer clients and customers a design portal on their website. To get this program with personal company branding, you will have to pay, and it is not cheap. But, if you are a business, they offer great tools that make the money spent worth it. We hope you’ve gotten a good idea of the different paid and free interior design software options. We want to tell you which ones we like the best, but don’t let that stop you from exploring all of the options to find the right fit for you. Best Free Option: We love Room Sketcher. Their software is so detailed, from furniture to floor plans. It is really easy to use, so no experience is needed. 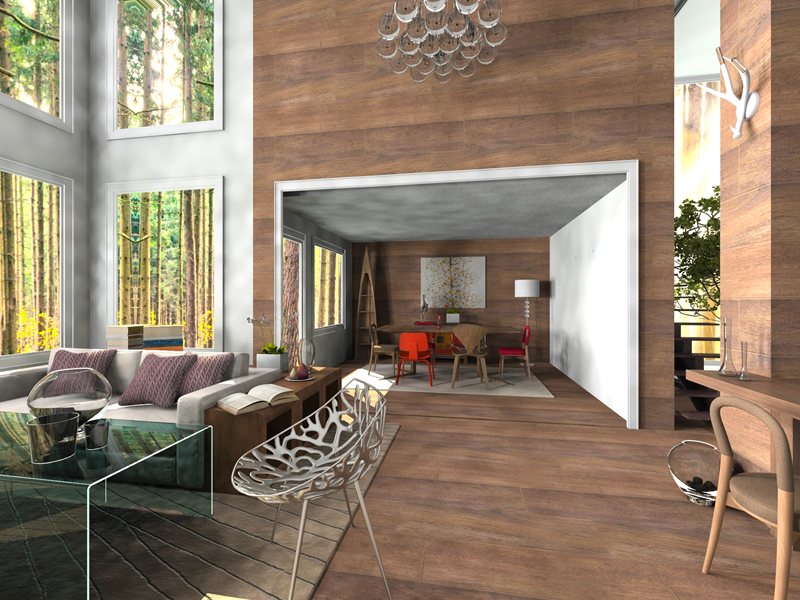 The 3D images are amazing and you can get a 360 degree view of the space you design. Best Paid Option: We are going to go with Chief Architect in the field of paid software. It is so extensive and has a component for all stages of home design. It is a popular software because it is so sophisticated. You can use their many pre-made templates or design from scratch. They have a ton of support available to help you learn the whole process. Also, you can always simply rent the software for a lower price than buying it outright, making this great for single projects.